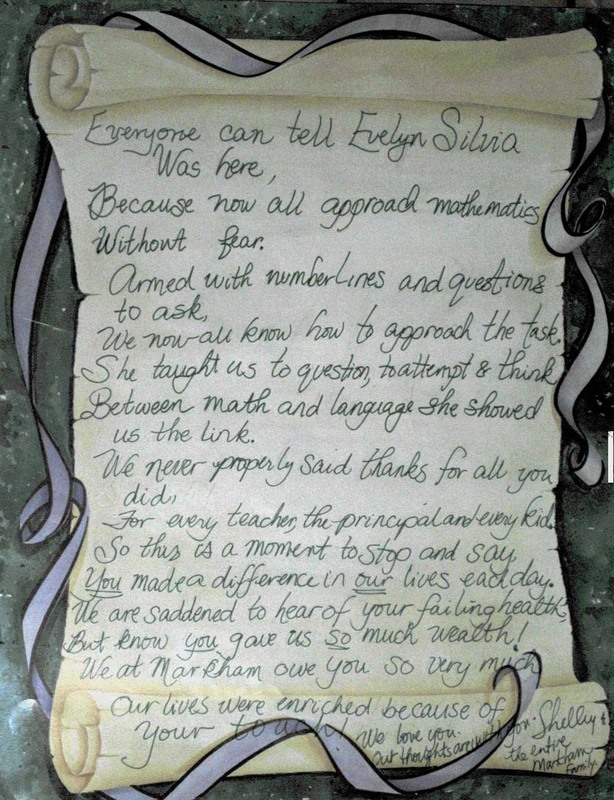 Professor Evelyn Silvia, our colleague of 33 years, passed away on 1/21/06, after a courageous fight with ovarian cancer. She was 57 years old. 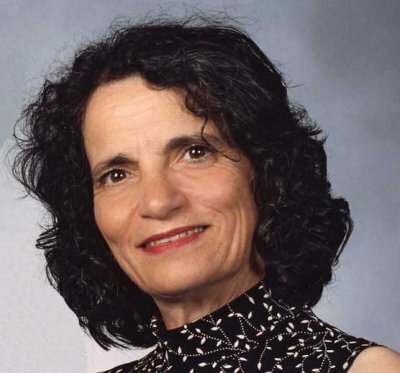 The Mathematics Department has established the Evelyn M. Silvia Scholarship Fund for future mathematics teachers, in recognition of Evelyn's advocacy for the improvement of K-12 math education. The recipient of this scholarship will be announced at the Department's Annual Award Ceremony held in late May/early June each year. If you'd like to contribute your own memories to this web page, please send email to Jessica Potts . One of the many important contributions to the university was Evelyn's words of wisdom for assistant professors, Collegial Advice for Assistant Professors. UC Davis is requesting this information to maintain accurate donor files in the Office of University Relations. Furnishing the information is strictly voluntary and it will be maintained confidentially. The information may be used by other university departments in the regular course of business but will not be disseminated to others except if required by law. You have the right to review your own data file. Inquiries should be forwarded to the Advancement Services, University of California, One Shields Avenue, Davis, CA 95616. It is the policy of the University of California, Davis and the UC Davis Foundation to utilize a portion of the gift principal and/or the short-term investment income on current gifts and grants to support the cost of raising and administering funds.